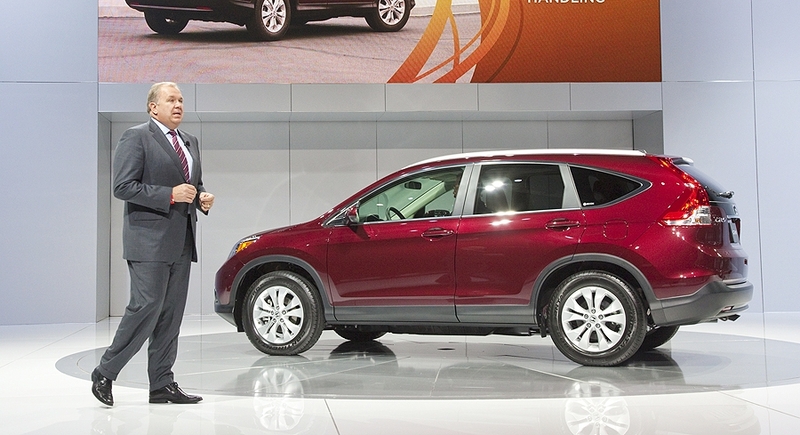 A look at key cars, light trucks and concept vehicles introduced at the L.A.
Honda will begin leasing an electric version of the Fit subcompact next year for $399 a month for three years -- based on a sticker price of $36,625. Deliveries will begin initially in California and Oregon next summer, followed by sales in six East Coast markets by early 2013. It is powered by a 20-kilowatt-hour lithium-ion battery and 92-kilowatt coaxial electric motor. A 6.6-kilowatt, 32-amp charger onboard allows for convenient recharging. 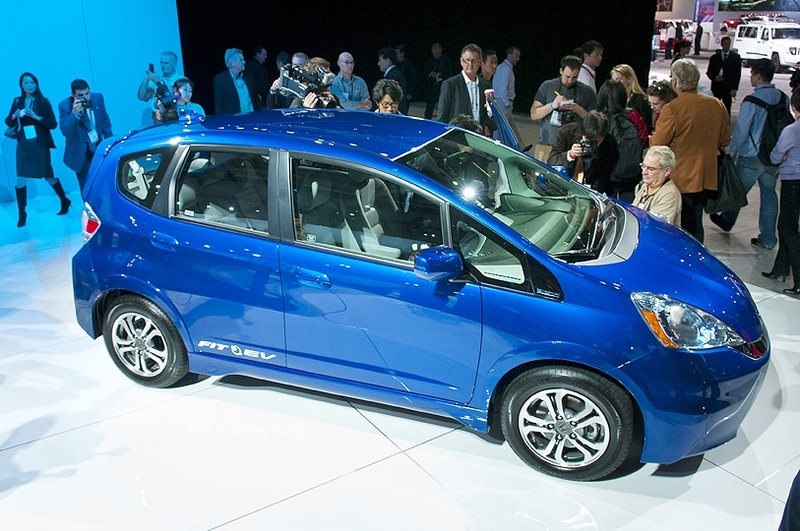 When tethered to a 240-volt charging port, Honda says the Fit EV can completely recharge in as little as three hours. 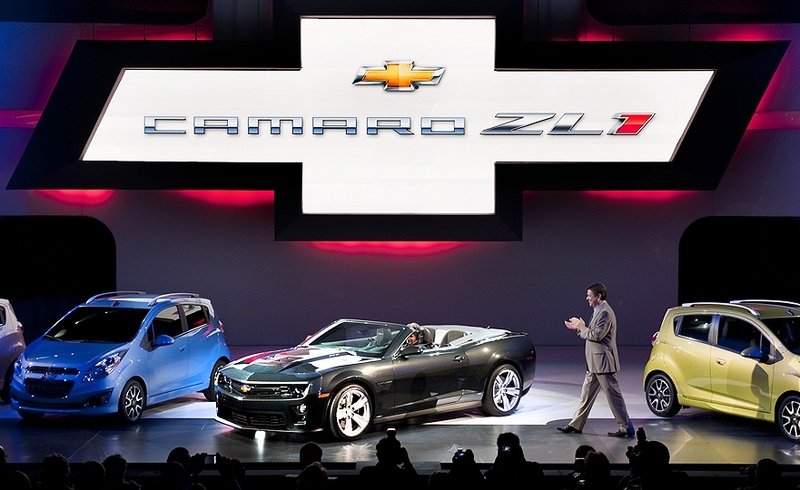 Chevrolet's newest Camaro shared the L.A. stage with the pint-sized Spark minicar. The Spark goes on sale in the U.S. in mid-2012 equipped with a 1.2-liter four-cylinder engine and five-speed manual transmission. The Camaro ZL1 convertible brandishes a supercharged 6.2-liter V-8 that generates 580 horsepower and 556 pound-feet of torque. It goes on sale next year. 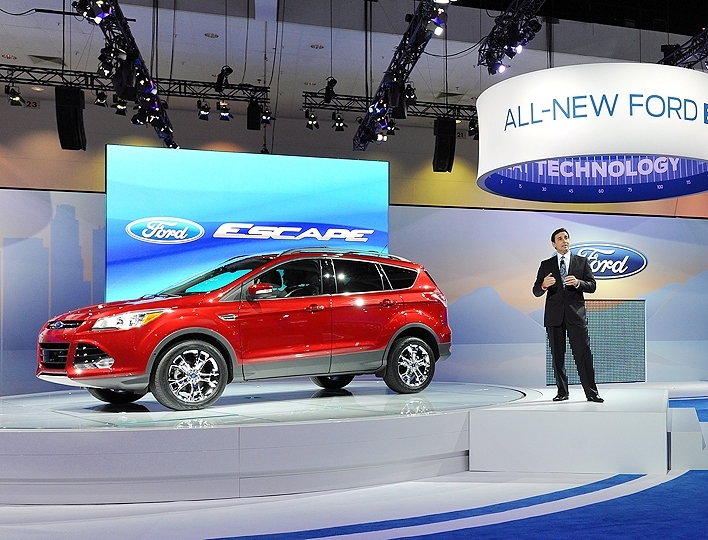 Ford's Americas chief Mark Fields introduced the all-new 2013 Ford Escape in Los Angeles this week. 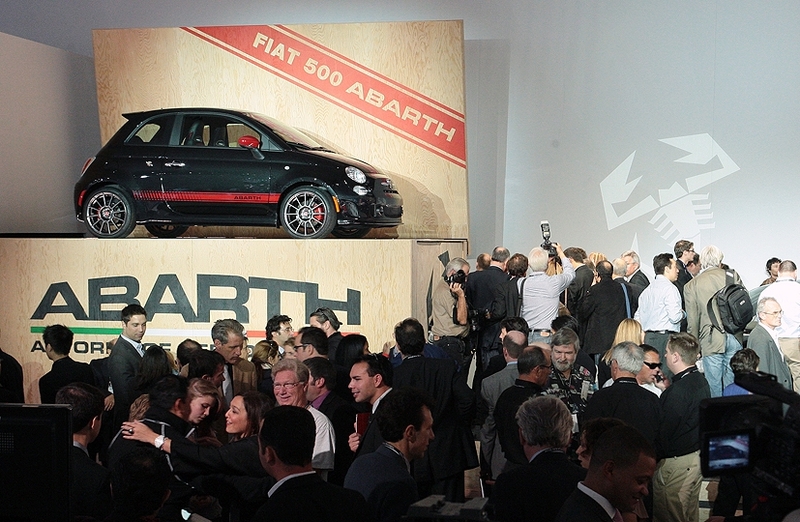 The high performance Fiat 500 Abarth will feature a 1.4-liter turbocharged inline-4 engine that cranks out an estimated 160 horsepower, a big leap from the 101 hp standard on the base 500's normally aspirated engine. Torque jumps to 170 pounds-feet, up significantly from the base 98. It goes on sale in the spring. 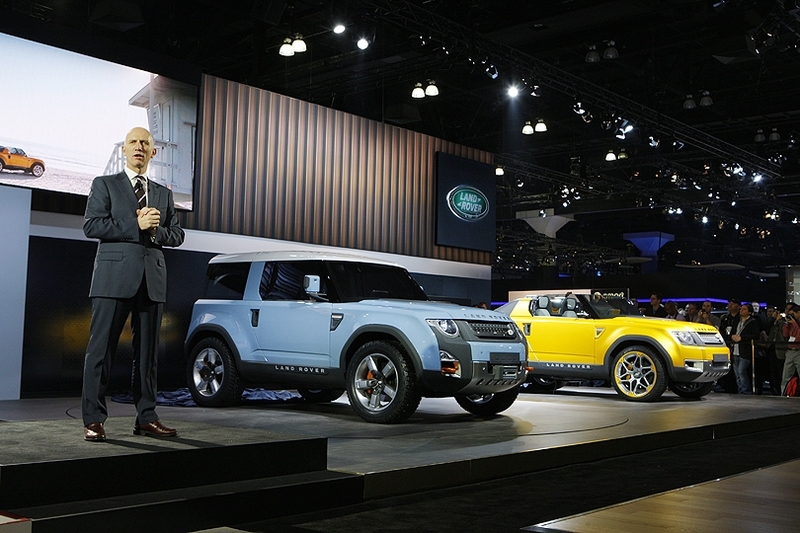 John Edwards, Land Rover's global brand director, makes a North America introduction for the DC100 and DC100 Sport. The pair of concepts -- a convertible and 2-door -- provide an advance glance at how the British off-road brand plans to replace the Defender. "Our intention is to introduce the all-new Defender in the middle of the decade," said Edwards, adding it may return to the U.S. market. 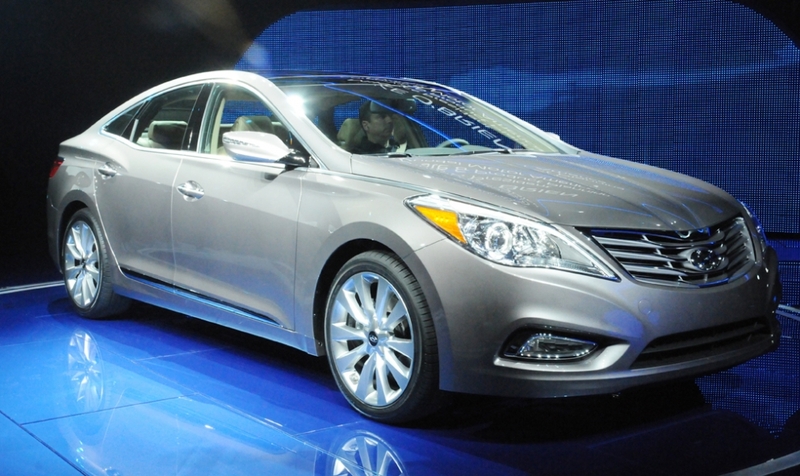 The all-new Hyundai Azera will be marketed between the Sonata mid-sized sedan and Genesis luxury sedan. 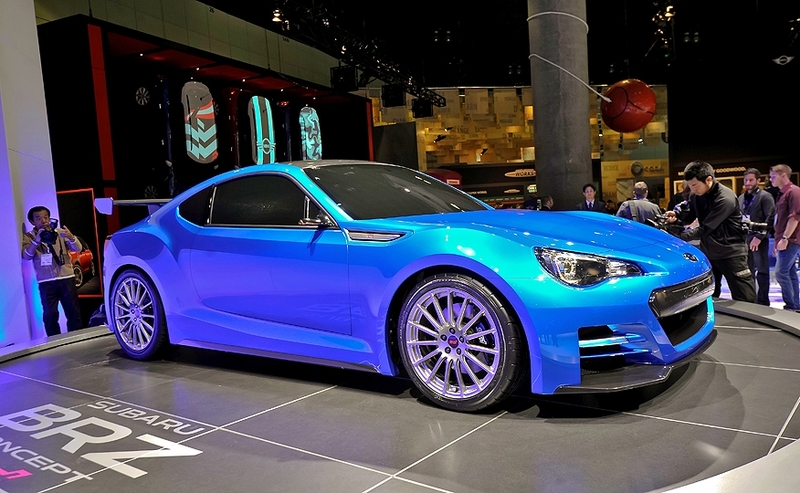 It is powered by a 3.3-liter V-6 with 293 hp and will be coupled to a 6-speed automatic transmission. The Azera will go on sale in February with a "value price" and standard amenities that include leather seating and a navigation system. When you include the ultra luxury Equus, the new Azera will give Hyundai three upscale sedans. Mark Reuss, head of North America operations for GM, with the 2012 Cadillac XTS sedan, which goes on sale in late spring. The front-wheel drive car -- Cadillac's new flagship sedan -- will replace the discontinued STS and DTS and come equipped with a 3.6-liter direct-injection V-6 engine pumping out 300 horsepower. 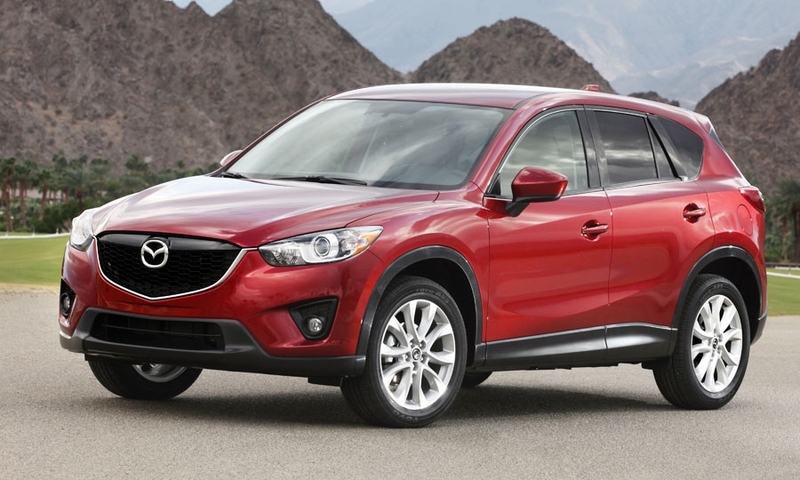 All-wheel drive will be offered.